Patches Ramissio Strips are based on modern knowledge of magnetic and light therapy. 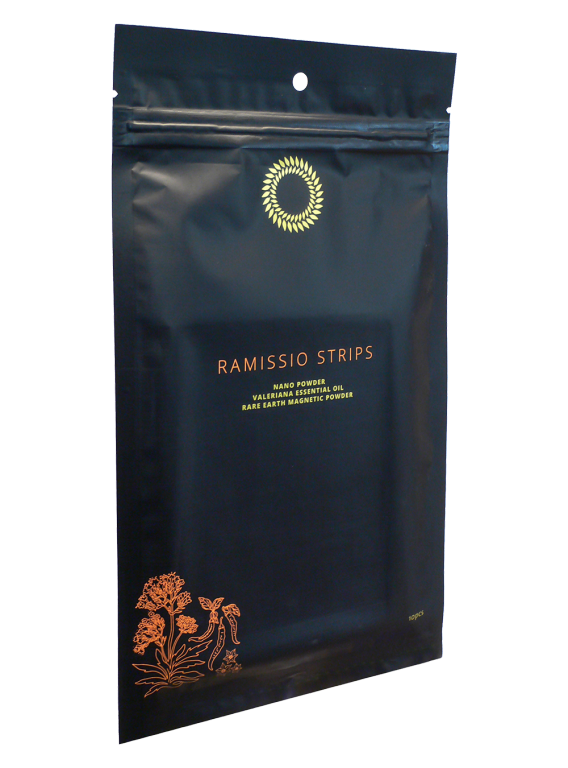 Ramissio Strips promote overall harmonization and activate self-healing processes in the body. Individual components of the patch quickly pass through the affected area, warm up the skin, relieve pain, destroy bacteria and regulate the natural balance in the body. Wash and dry the affected area, remove the protective cover and attach the patch to a snug fit. After eight hours at the latest remove from the skin. Adults and children 12 years of age: Apply to affected area as needed, not more than three patches daily for up to 7 days. Capsaicin extract, nanopowder emitting far infrared rays, essential oil plants Valeriana amurensis Smir, magnetic powder from rare minerals.